Are you looking for a truly supportive Broker to originate with? 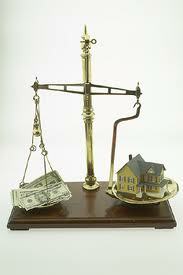 We offer conventional, FHA, VA, reverse, jumbo, second leins, bridge, hard money and commercial loans. Our underwriters give us great pricing and service; which in turn allows our originators to create happy clients. It doesn't take magic, just hard work, quality employees, and respect for our partners. In House Processing: We handle the submission of files for underwriting to ensure we only submit clean loans with fewer approval conditions. Loan Structuring Assistance: Not sure where to place the loan? Which program to offer? How to sell the benefit? Just give us a call, we're here to help. Business Planning Assistance: How extraordinary do you want your business to be this year? We will help you shape a plan of action. Marketing Templates: Emailed to you weekly; formatted for borrowers and referral partners.